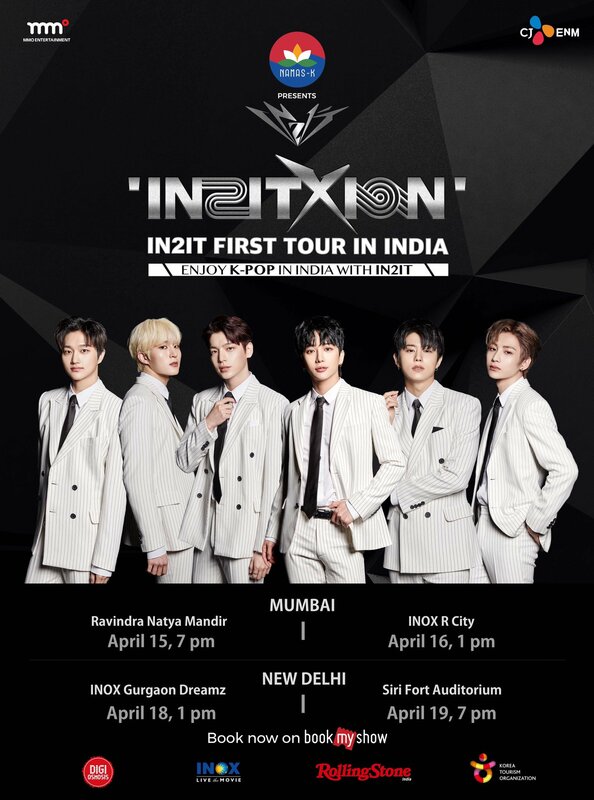 The boys of IN2IT are currently in India for their first ever tour in the country. Their first stop was in Mumbai which was held in Ravindra Natya Mandir and INOX R City last April 15 and 16. IN2IT is composed of seven members, HyunUk, InHo, InPyo, Isaac, JiAhn, SungHyun and YeonTae, who are the final winners from Mnet’s survival show “BOYS24”. The group was officially launched in October 2017 and according to KPop Map, IN2IT has already performed more than 260 times in an acclaimed theatrical show which ranked #1 in ticket sales even before their debut. As part of their ‘IN2ITXION Tour’, the boys are set to hold two more shows in New Delhi on April 18 and 19.